Thus far, the effect has been muted — and the European industry has had a little time — because the US petrochemical industry was originally not built for indigenous US gas and oil supplies but instead located near ports and configured to process supplies of oil from the Middle East. But this is changing fast. There has been virtually no big petrochemical investment in Europe in the past decade whereas in the US since 2010 some $85 billion of petrochemicals projects have been completed or are under construction. Spending on chemical capacity to 2022 will exceed $124 billion, according to the American Chemistry Council, creating 485,000 jobs during construction and more than 500,000 permanent jobs, adding between $80 billion and $120 billion in economic output. After years where chemical capacity has run neck and neck with Europe, the American industry is about to dwarf it. So this is the backdrop to the Ineos investment, and what is special is that this new plant will be supplied by a fleet of purpose-built liquefied natural gas tankers of sufficient number and size to create what Ratcliffe calls a “virtual pipeline” of US gas supply across the Atlantic. Even that, however, is not the key to the economics of the deal — rather it is that Ratcliffe has taken advantage of the fact that the US chemical plants seeking to use gas are still being built, and as a result we have been in a period where prices have been artificially low. Seizing the moment, he has secured a decades-long supply contract at rock-bottom cost, low enough to cover a major chunk of his transport costs which he hopes will enable him, for a while, to live with US competition. But the rest of Europe’s industry — here and on the Continent — has, for the most part, not been so fleet of foot. As a result it faces an existential challenge. Unless it can secure similarly low feedstock prices it will be forced to shrink dramatically, raise its efficiency and specialise. This, in turn, will add further fuel to the debate on fracking in the UK, because it is the declared view of Ineos and presumably other energy-intensive firms, that only UK-produced shale gas can deliver feedstock at the price the industry needs to survive. 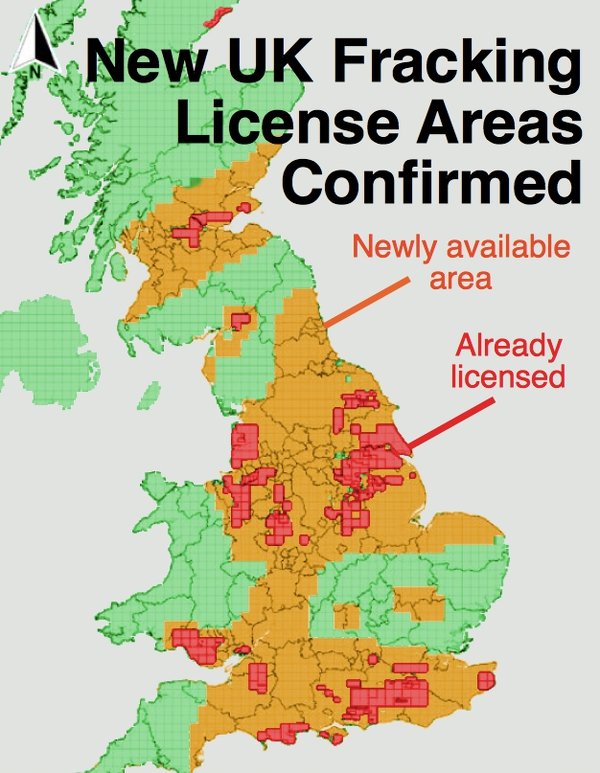 Hence Ineos, without courting publicity, has assembled some interesting onshore fracking licences with a particular focus on the East Midlands where test drilling is now taking place. Perhaps because this is an area which at one time drew its prosperity from the Nottingham coalfield, local opinion has been largely supportive, helped — no doubt — by Ineos’s decision to give local communities a 2% cut of revenues. But it also serves as a reality check for the country. A post-Brexit Britain is going to have to exploit every source of wealth to stay afloat. In this, energy costs are key because you can’t make anything without energy. That means fracking whether people like it or not. European leaders don’t do their own industries any favours, with high-priced energy and the ongoing destabilisation of electricity grids with excessive renewables at the expense of nearly everything else. Or a squeeze on living standards whether people like it or not. If Britain, Europe developed their vast shale gas reserves, the West could thumb their noses at the Middle East and finally be rid of that viper pit of a region. Interesting. One of the arguments against UK Fracking was that the price of gas to the UK would not fall as we were ‘locked in’ to the european market price of gas! This development is good news. It seems the latest US tactic is to squeeze Russian gas supplies in Europe by extending sanctions to EU companies. German Chancellor Angela Merkel is concerned over US newly-proposed anti-Russia sanctions that would involve fines on EU companies, her spokesman said adding Washington has nothing to do with Europe’s energy policy. The UK shale industry is gaining momentum as oil and gas explorers Cuadrilla and Third Energy also move closer to drilling their wells, IGas Energy’s CEO Stephen Bowler said on Wednesday in an update to the market. UK Onshore Oil and Gas chief executive Ken Cronin said the closure will strengthen the case for developing domestic shale gas supplies: “The solution for the UK in the medium term cannot be to transport gas across oceans and continents. “The UK needs to ensure that whatever gas replaces that from Rough comes from sources that can deliver the same high levels of environmental and regulatory standards. Only the development of the UK’s onshore resources just a mile under our feet can do this”.